Just a few of our Happy Fishermen from our 2017 season! Check out more highlights from our gallery here. Our charter boat the Flying O has undergone a complete renovation, inside and out. With more space and comfort, we can cruise and fish anywhere on the west coast. Read more! The FisherMEN weren’t the only ones reeling in the Salmon this year! This group of ladies sure enjoyed themselves. Check out some other groups that had a great time with us here! 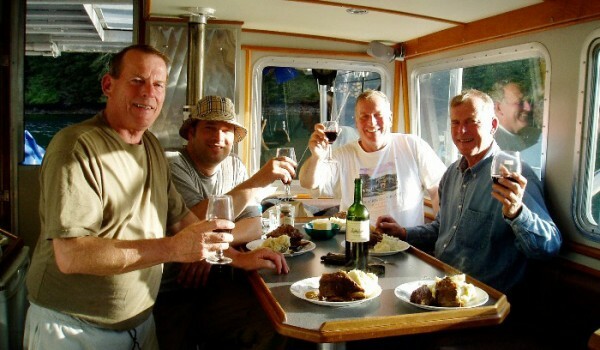 Enjoy gourmet seafood meals after your day of fishing with Kaien Sportfishing Charters! A little sampler of the fresh cooking found onboard the Flying O! Download our famous Fish Chowder recipe! Your fish are cleaned when they come aboard and then iced away to retain maximum quality before the trip home. Freezing or smoking can be arranged also. We try to anchor at night in quiet protected coves close to where we start fishing in the morning. Visit our gallery to see more amazing photographs taken from the Pacific Northwest Coast. 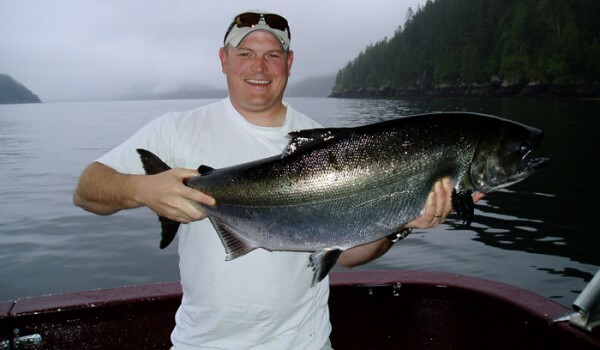 Kaien Sport Fishing Charters invites you to experience the most spectacular fishing off the northern tip of the majestic British Columbia Coast in Prince Rupert. The breathtaking scenery with the best salmon and halibut fishing anywhere equals the BC fishing charter experience of a lifetime! 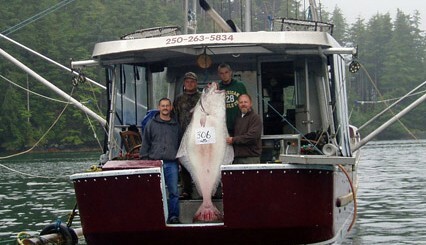 Your North Coast Fishing Charter Experience. Our customized 40' commercial fishing vessel, The Flying O, has undergone a complete make-over. 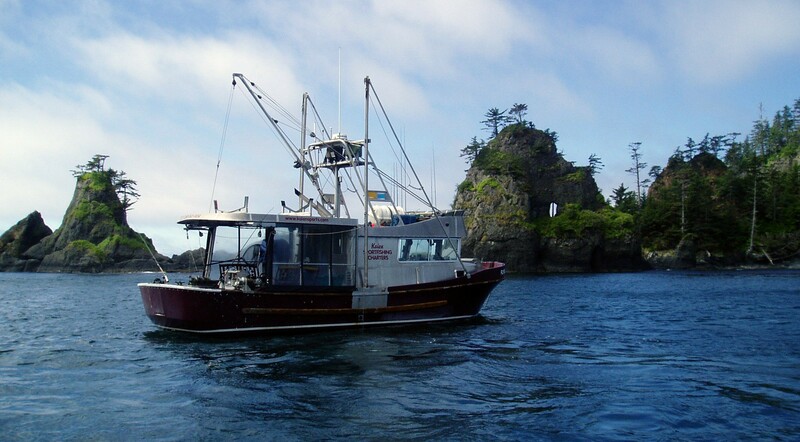 You can enjoy your Northern West Coast fishing charter in comfort and safety. With the most up-to-date electronics and equipment, we are prepared for any conditions. Call 1-250-624-5151 to book your trip today. Most saltwater sports fisherman dream of the chance to experience world-class chinook salmon fishing on the West Coast of British Columbia. Your host and captain, Colin Flaten, has made his living commercial and sport fishing in and around these waters most of his life and has intimate knowledge of these areas. We offer a platform to provide the study of environmental monitoring. To book an excursion with Colin Flaten on the Flying-O, call 1-250-624-5151 or send an email to info@kaiensports.com.